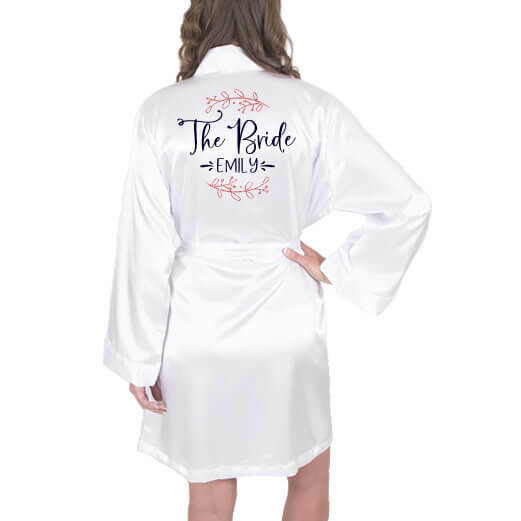 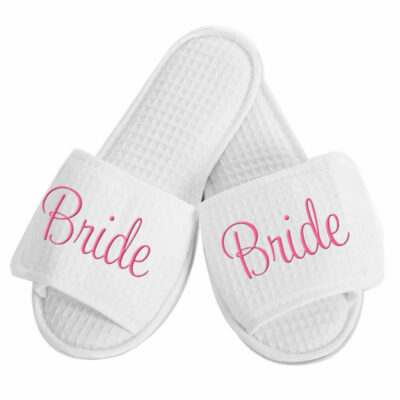 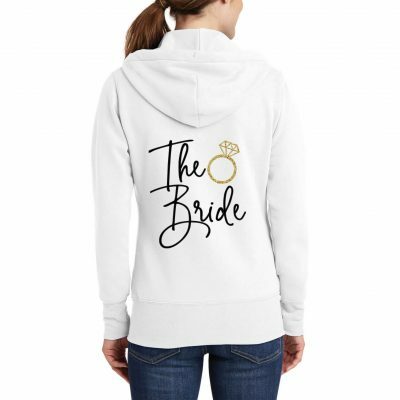 Custom satin robe with "The Bride" and a name on the back with beautiful branch accents above and below in the colors of your choice. 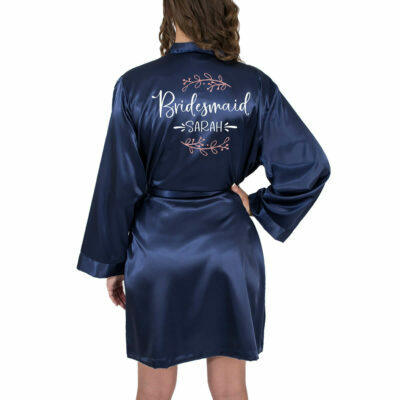 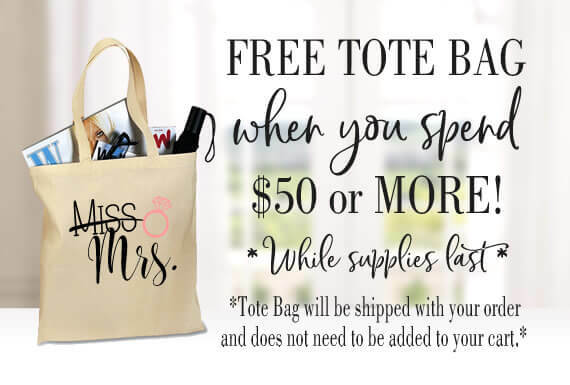 Available in Black, Coral, Hot Pink, Light Pink, Purple, Royal Blue, Rose Gold, Light Turquoise, Mint, Red, Burgundy, Navy, Champagne, Gray, Brown (OS Only), White and Yellow (OS Only). 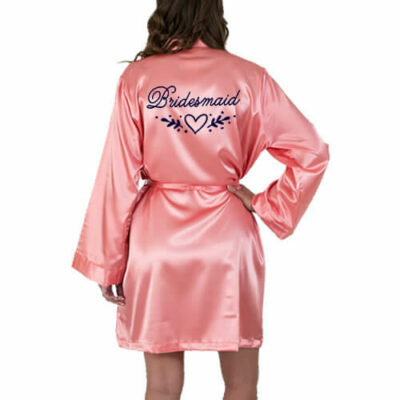 Available in White, Champagne, Blush, Dusty Rose, Burgundy, Navy and Mauve.